As the digital inclination of the society is increasing, it comes as a fair idea to reap benefits of this favourable inclination. Why do you think companies opted for creating videos for the promotion purposes? What is so special about such short videos that prompt people to buy the products/Service? When selling your product or service, it’s vital to make sure your customers understand what exactly it is that you are selling. Its functionalities need to be broken down as most of the tech products are abstract and cannot easily be understood. This is where a 2D animated video can come to your rescue. They don’t require actors to be hired and all these are more affordable than live action videos and can very easily be used to explain all the functionalities in detail. They can help in turning abstract information into more tangible form. Thus, making your product better understood by the target customers. Imagine your company as the savoir who is ready with all its weapons (products/services) to help out the people in pain (customers). You know their pain areas and have designed the products that can resolve their issues. But, how do they get to know that you exist. You need to make a heroic entry for that. Think yourself as the superman who’s there to save lives… good adrenaline rush right? The perception for visuals is more than long texts for any human being. This could be the same case for you while presenting huge product documents to your clients. Some could find it interesting and some may not. As a company, getting some basic information across to your customers is vital. Easy and interesting business explanation instills an interest in your clients and viewers leading to a conversion. Mobility : Carry your entire library in your pocket: With disk space quickly becoming a commodity, and the size of portable device hard drives getting bigger and bigger, it’s conceivable to think that you could have your entire library with you and have it accessible to your fingertips. Animation: enhance learning engagement and effectiveness! Animation is a powerful medium of storytelling and has the capability of cutting across geographical boundaries, as well as making complex subjects more understandable and engaging. Animation has revitalized the learning environment in many ways by presenting innovative methods to convey topics and concepts, and these are continually evolving. For a start, it has helped to make education more enjoyable, thus making learning more gratifying and effective. Insights into the use of animation to increase learning potential have also developed. 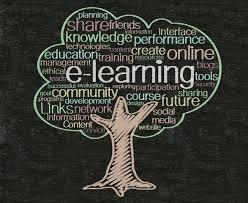 You might not be an expert in e-learning development. Also we too agree that the field is comparatively new and still developing its feathers. Hence, even though you have hired a super cool team for your portal here, are some tips to do a check on the developments.